Smooth Cypress adds a special glow to the landscape with its silvery blue-green foliage. 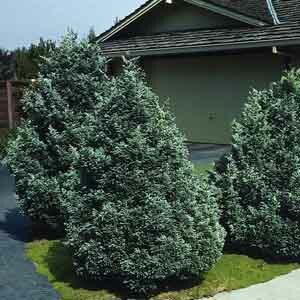 The scale-like foliage adds great texture and a refreshing, light "turpentine" fragrance as well! This is a rugged plant that grows in just about any well-drained location. One of the best trees around for creating a dense hedge or privacy screen.